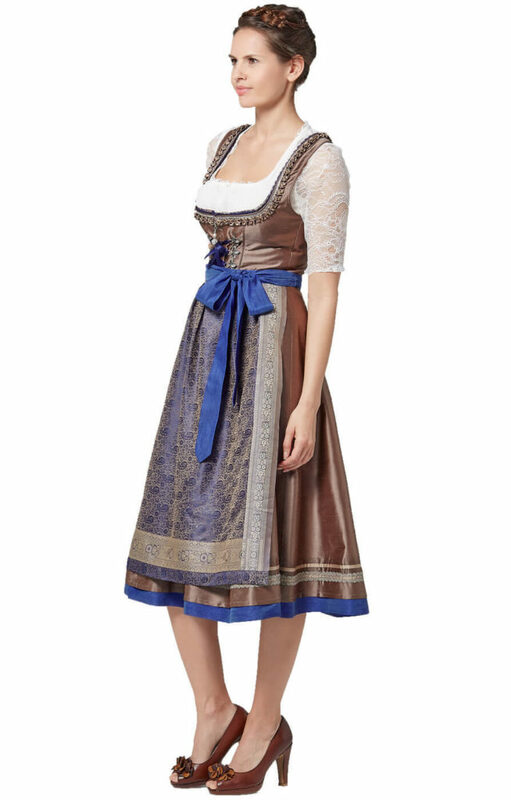 Are you thinking about buying a dirndl for this year’s Oktoberfest? If you’ve never bought one of these classic Bavarian dresses before, then read on: because there’s a lot you can do wrong when buying a dirndl – and a few things that, if you get them right, will give you that perfect Oktoberfest look and make you into a veritable Alpine queen! Three-piece dirndl outfit: dress, blouse, apron. The make-up of a dirndl outfit, sizes and the fit, colours, patterns, materials, and prices: all of these are unknowns if it’s your first time buying a dirndl. To make things nice and easy, we’ve put all the information you need into a Q&A below: use it as a checklist and you’ll be the toast of the fest! 1. What is a dirndl? “A dirndl” is something of a misnomer, because actually, a dirndl as you need it is not just a dress, but an outfit. 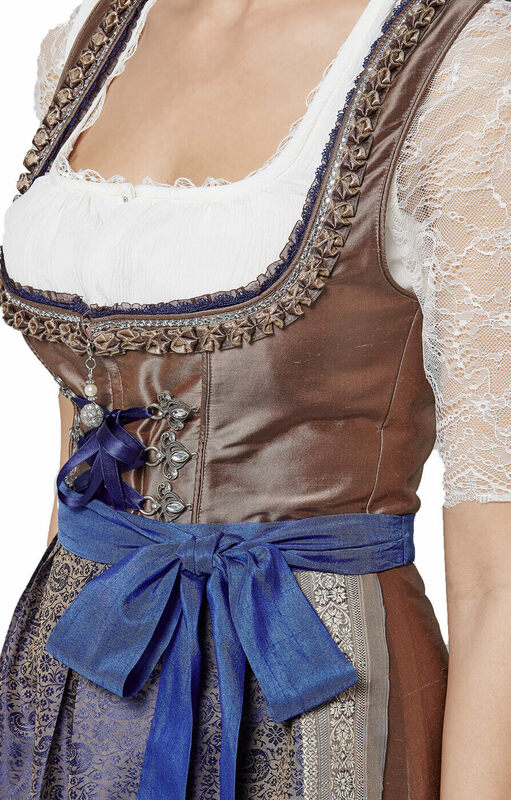 It’s made up of a dirndl dress (bodice and skirt), a dirndl blouse, and an apron. So when you’re buying your dirndl, check whether you’re getting just the dress or the whole outfit. Some retailers offer three-piece dirndl outfit packages, others sell dresses, aprons, and blouses separately; you’ll also find some two-piece combinations, which are generally dress plus apron. 2. Which design elements are essential? 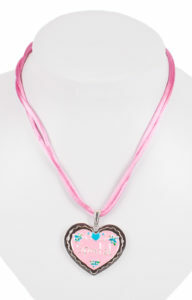 As well as being made up of all three pieces, dirndl outfits have a range of other must-have markers. Firstly, the bodice of the dress should have a classic lace-up front (even if, for ease and comfort, it has a zip-up back). Secondly, a classic dirndl is low cut: although some designer versions go higher, the traditional dress is made to be worn with a blouse; as such – and this is point number three – the blouse should have frills or other features around the neckline as it will be on show, as will the shoulders and arms. Number four is related to this: a dirndl dress has relatively narrow shoulders as, once again, the blouse does the work here. 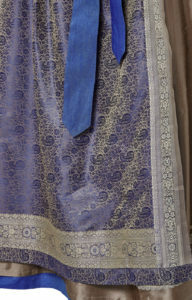 Point five is that the apron should match the dress – either in a complimentary or contrasting colour – and end around an inch over the hem. 3. Which colours and patterns are traditional? Dirndl outfits come in a full variety of colours and patterns, and the formerly strict rules about what could be used on Bavaria’s hallmark women’s dress have loosened considerably as fashion designers have entered the field in recent decades. Nevertheless, the vast majority of designs retain traditional elements – that’s kind of the point, after all. As such, you’ll see a lot of check – small-square gingham in the most traditional – in blue and white or red and white. Pinks and purples are also classic check colours. Floral patterns are also traditional, and are right on trend at the moment, as are a range of pastel colours from taupe to cream, peach, beige, and grey. Stay away from big-check and overly garish shades (very 2010!). 4. Which materials are used? Traditionally, dirndls were made of cotton. If you’re buying a dirndl today, though, you’ll find that the majority are made of polyester-cotton blends: these are hard-waring, washable, and breathable, so there’s no need to spend hours looking for the few pure-cotton versions out there. Stay away from anything with too high a proportion of polyester, though, as this will make the dirndl look cheaper, and anything with acrylics, modal or similar is likely to be a cheap knock-off product, not the real thing. 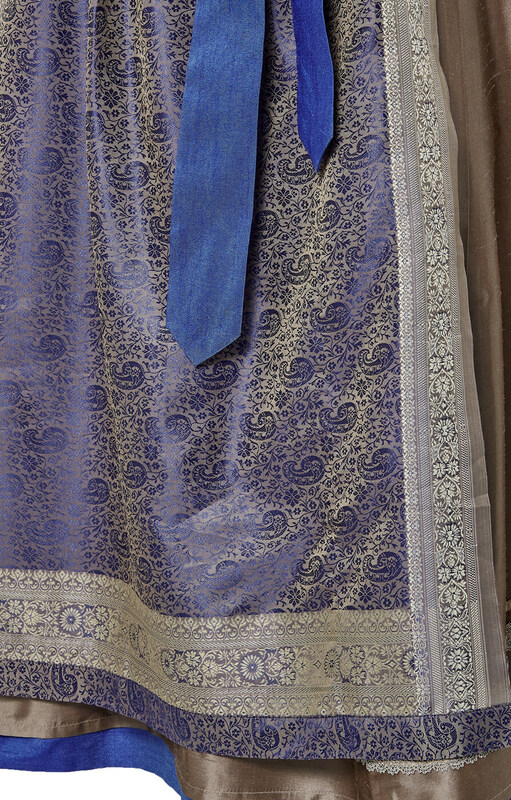 Aprons are generally made of cotton, too, but may include other fabrics to give them a sheen or sheer look. On that matter: the apron is, in fabric terms, almost as important as the dirndl dress, as this is the key piece people see: go for something eye-catching and festive. 5. How does sizing work? 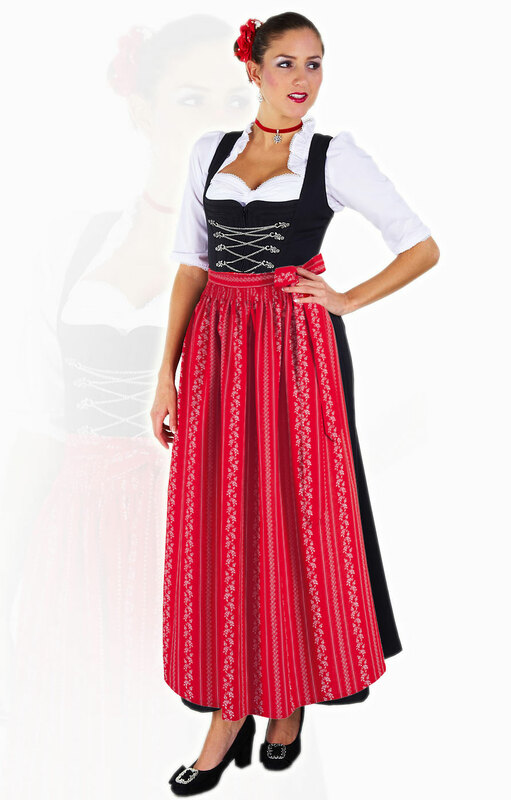 A traditional full-length dirndl – down to the ankles! A word on length, by the way: historically, dirndl dresses went to the ankles, but today, even the more traditional ones generally tend to end mid-calf (80cm). Most of the best fashion dirndls are just over knee-length (60-70cm), which is considered the perfect length by most Bavarians. Younger girls will sometimes wear one which finishes above the knees (50cm), but this is the absolute limit. Anything above that is seen, simply put, as slutty. Dirndls dresses are not mini-skirts and proper retailers won’t stock anything shorter than 50cm. 6. What is a realistic price? 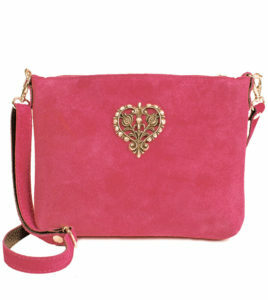 Price-wise, the lowest you can go and still expect to get something reasonable is around €150 for three pieces. However, we’d recommend budgeting at around €200 which, including postage and packaging, will get you a dirndl dress, blouse, and apron of good quality from Germany. 7. How do I accessorize? Dirndl outfits are worn with smart shoes: leather pumps are the classic footwear choice, but nice ballerinas are also fine. You will see some girls pairing them up with trainers (often floral print) and many older ladies like the support of a bootee, but the classic match remains a low heeled pump. 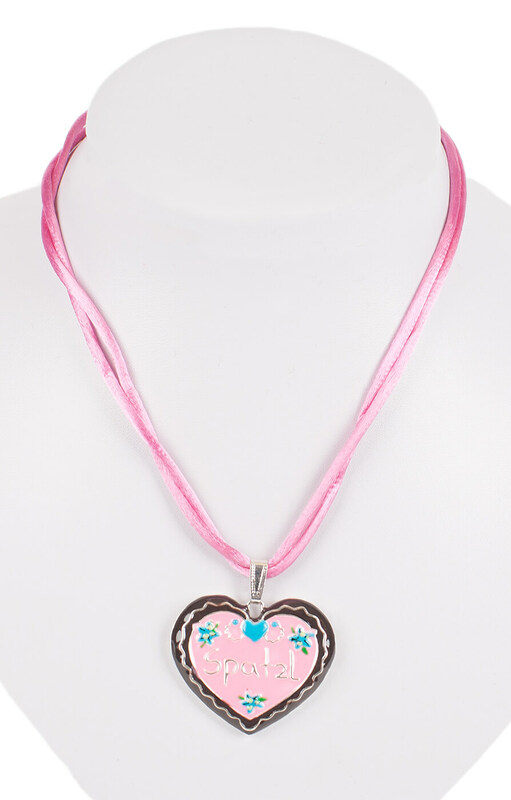 In jewellery terms, lots of ladies like to finish off their décolleté with a necklace: heart-shaped or flower pendants – especially alpine edelweiss blooms – are the most popular. The other key element of dirndl accessorisation is the bag: opt for felt or leather and go small – both for reasons of tradition and practicality, as large bags are forbidden at the Munich Oktoberfest and at many other beer festival events. Clutch-bags and small shoulder-bags are best. You’ll also see ladies wearing Bavarian felt hats; depending on your face shape, these can be a really good addition to the outfit. When it comes to covering up as the evenings get cooler, cute cardigans are the most popular addition to a dirndl outfit. We hope this quick Q&A has given you the information you need to make a decision when buying a dirndl – and will be happy to answer any questions you have on Twitter. Also, feel free to contact our sponsors for information and to buy directly.